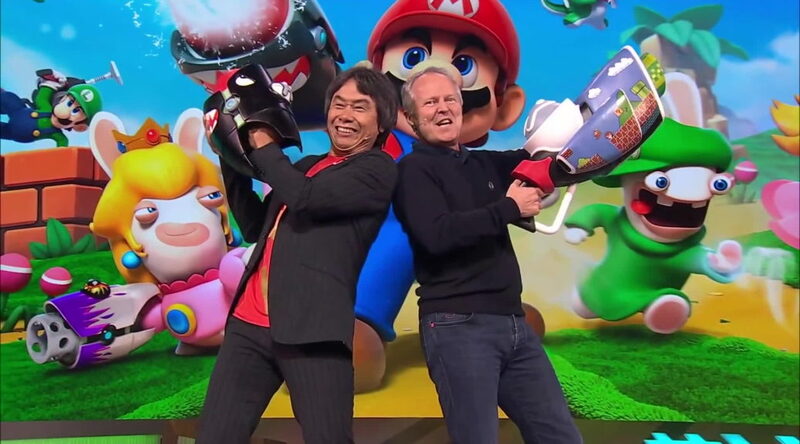 In a recent Q&A video featuring Ubisoft CEO Yves Guillemot, the CEO shared that more “surprise” collaborations with Nintendo will continue in the future and are in the works as we speak. Guillemot says Ubisoft’s relationship with Nintendo is “very strong”, and the creators at Ubisoft are extremely happy to collaborate with Nintendo when the opportunity arises. It is very strong because we have done many things together in the past. The Nintendo brands and their capacity to create fantastic games is really something that our creators in Ubisoft love, and when they can collaborate with Nintendo they are extremely happy to do so. So, yes it will continue, and I hope we will be able to surprise you with new things in the future. Both Nintendo and Ubisoft have worked together to bring Mario + Rabbids: Kingdom Battle to Nintendo Switch last year, and Fox McCloud is set to appear in Ubisoft’s StarLink: Battle for Atlas.